I was just thinking to myself the other day how peanut butter and chocolate is one of the best flavour combinations – you can’t beat salty and sweet. Then, yesterday, out of nowhere, my housemate was talking about how much she loved peanut butter, but hated it with sweet things like chocolate. Whaaaa? Different strokes for different folks I suppose! Peanut Butter Wolf is a DJ who spins some funky tunes, which are great to listen to in the kitchen. I tell ya, it’s the best for getting into a smooth rhythm of measuring and pouring and sauntering from the cupboard to the bench. And if I were a peanut butter wolf, I would definitely be hunting down peanut butter cups, that’s for sure. I’ve made pb cups using melted choc and roasted pb before, but when I decided to make these ones I didn’t have any chocolate on hand. As a result I came up with these little raw fellas, and I think they make a pretty sweet replacement. Set out twelve small muffin papers or chocolate cases, ready to go. Melt coconut oil in double boiler, remove bowl and add cacao, agave and salt. Stir well to combine. Pour about a teaspoon of the mix into cases and spread around the edges. Place cases in the freezer and allow to set. 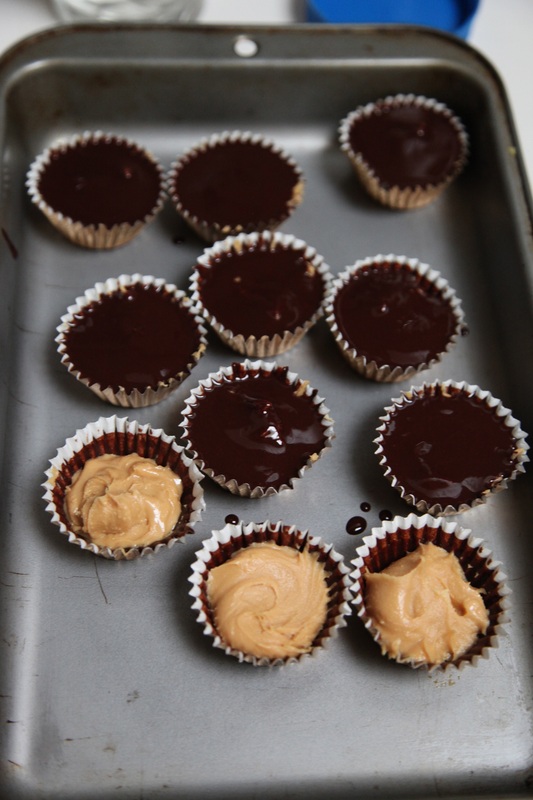 Remove from freezer and fill each cup with about a teaspoon of peanut butter. Fill to the top of each case with chocolate and return to the freezer until set. Enjoy! PB Choc is a favourite flavour combo of mine too and I love the idea of adding a little extra Himalayan pink salt. Yum town! So delicious! Salty and sweet really is the best. Yum! 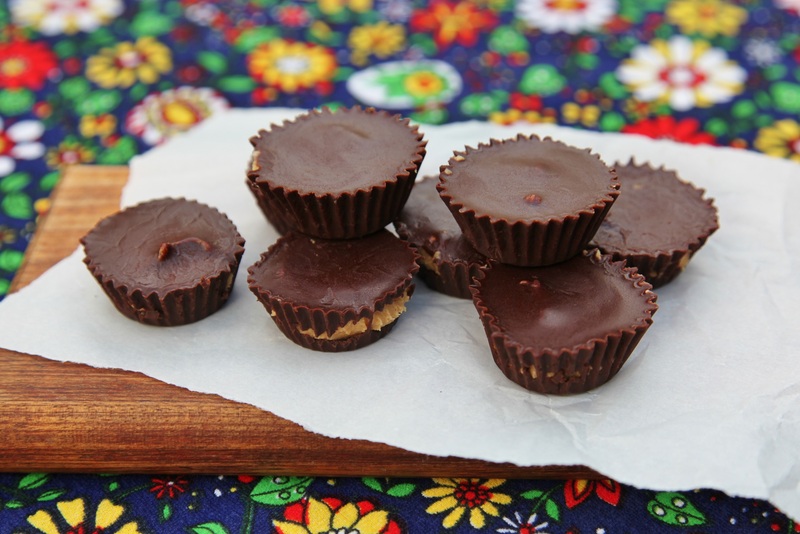 I love peanut butter chocolate cups, I didn’t realise they were so easy to make at home, I always sort of assumed you had to have a fancy peanut butter-piping/inserting machine to get it in the middle of the chocolate! 😉 Those look delicious! Haha, I know, they seem so magical don’t they! Before I first had a go, I hadn’t realised either. Now I know, it’s quite dangerous. 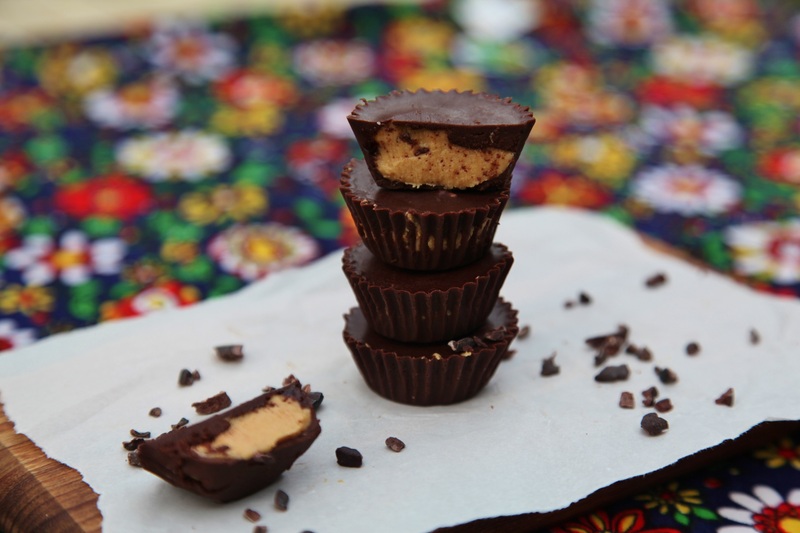 You can’t go wrong with peanut butter cups. My partner also hates peanut butter with sweet things and I don’t get it at all. It’s like you say the best combination ever. I totally agree Rika! Long live PB and choc! Apparently Peanut Butter Wolf got his name because back in the 80’s, his girlfriends little brother was more scared of the ‘peanut butter wolf monster’ than death, haha. OMG, I love your theme! 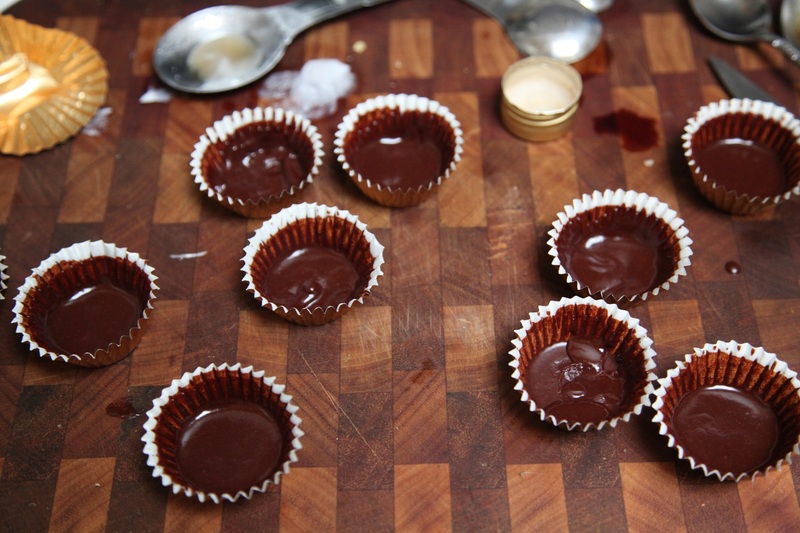 And vegan peanut butter cups are pretty much the best, so. They look so good! I also have a weird thing against peanut butter in sweet things but I do like it with chocolate (especially when the sweetness comes from the chocolate part and not the peanut butter part, so your recipe sounds awesome). How funny! I just love the PB and sweet combo…salt + sweet is the bomb for me.